Dr. Yates has been involved at all stages of initial optical and electrical design of the Cavcam and RetiVue WF platforms, including first proof of concept testing of the earliest devices in patients. 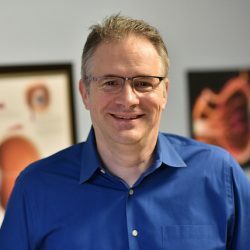 Dr. Yates is a practicing vitreoretinal specialist and also has experience as a biomedical engineer designing all of the electronics and software for the early alpha prototypes. He currently directs the University of Virginia Diabetic Retinopathy Screening program, and has been integral in bringing low-cost mobile device technology into these screening efforts. In this capacity, he fully understand the challenges of creating a sustainable and cost-efficent screening network that reaches patients most in need.